Marlboro Township Police has a Juvenile Unit made up of compassionate and understanding members of the Police Department who understand the goal is to rehabilitate and not punish juvenile offenders. The unit consists of Juvenile Detectives trained in the special needs of the youth within our Township. They have access to numerous programs available to assist parents with the problems affecting their children today. 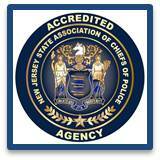 These Detectives work together with the Monmouth County Prosecutor’s Office by forwarding all juvenile cases for central processing. This is a tool that weeds out lesser offenses and determines which cases should be presented to judges and which should be handled by other means like the Juvenile Justice Commission. This unit works hand in hand with the department’s school resource officers. They work together to educate our youth and maintain school security. The Juvenile Unit also works closely with Marlboro Township Alliance with programs and seminars that it offers for both the youth of the Township and parents as well.